Sign into your installation of Team Password Manager with an Admin or IT account. Choose "Settings" from the top menu. 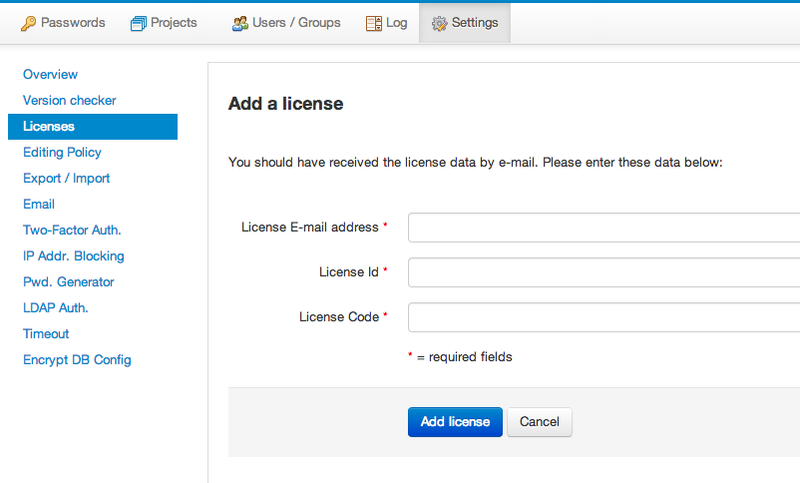 Click on "Add a license" and fill in the information (E-mail, Id and Code). Do this for each license purchased. Locate a "Normal" license with the same number of users of the "Support and Updates" license. Click on "Attach Support and Updates license" and fill in the information (E-mail, Id and Code). << Previous: What are named users?